Many of the planned used for 5G rely upon the use of millimeter wave spectrum, and like every wireless technology the characteristics of the spectrum defines both the benefits and limitations of the technology. Today I’m going to take a shot at explaining the physical characteristics of millimeter wave spectrum without using engineering jargon. Millimeter wave spectrum falls in the range of 30 GHz to 300 GHz, although currently there has been no discussion yet in the industry of using anything higher than 100 GHz. The term millimeter wave describes the shortness of the radio waves which are only a few millimeters or less in length. The 5G industry is also using spectrum that is a little longer than millimeter waves size such as 24 GHz and 28 GHz – but these frequencies share a lot of the same operating characteristics. There are a few reasons why millimeter wave spectrum is attractive for transmitting data. The millimeter spectrum has the capability of carrying a lot of data, which is what prompts discussion of using millimeter wave spectrum to deliver gigabit wireless service. If you think of radio in terms of waves, then the higher the frequency the greater the number of waves that are being emitted in a given period of time. For example, if each wave carries one bit of data, then a 30 GHz transmission can carry more bits in one second than a 10 GHz transmission and a lot more bits than a 30 MHz transmission. It doesn’t work exactly like that, but it’s a decent analogy. This wave analogy also defines the biggest limitation of millimeter wave spectrum – the much shorter effective distances for using this spectrum. All radio waves naturally spread from a transmitter, and in this case thinking of waves in a swimming pool is also a good analogy. The further across the pool a wave travels, the more dispersed the strength of the wave. When you send a big wave across a swimming pool it’s still pretty big at the other end, but when you send a small wave it’s often impossible to even notice it at the other side of the pool. The small waves at millimeter length die off faster. With a higher frequency the waves are also closer together. Using the pool analogy, that means that the when waves are packed tightly together then can more easily bump into each other and become hard to distinguish as individual waves by the time they get to the other side of the pool. This is part of the reason why shorter millimeter waves don’t carry as far as other spectrum. It would be possible to send millimeter waves further by using more power – but the FCC limits the allowed power for all radio frequencies to reduce interference and for safety reasons. High-power radio waves can be dangerous (think of the radio waves in your microwave oven). The FCC low power limitation greatly reduces the carrying distance of this short spectrum. Mechanical resonance. Molecules of air in the atmosphere naturally resonate (think of this as vibrating molecules) at millimeter wave frequencies, with the biggest natural interference coming at 24 GHz and 60 GHz. Atmospheric absorption. The atmosphere naturally absorbs (or cancels out) millimeter waves. For example, oxygen absorption is highest at 60 GHz. Millimeter waves are easily scattered. For example, the millimeter wave signal is roughly the same size as a raindrop, so rain will scatter the signal. Brightness temperature. This refers to the phenomenon where millimeter waves absorb high frequency electromagnetic radiation whenever they interact with air or water molecules, and this degrades the signal. Line-of-sight. Millimeter wave spectrum doesn’t pass through obstacles and will be stopped by leaves and almost everything else in the environment. This happens to some degree with all radio wavs, but at lower frequencies (with longer wavelengths) the signal can still get delivered by passing through or bouncing off objects in the environment (such as a neighboring house and still reach the receiver. However, millimeter waves are so short that they are unable to recover from collision with an object between the transmitter and receiver and thus the signal is lost upon collision with almost anything. One interesting aspect of these spectrum is that the antennas used to transmit and receive millimeter wave spectrum are tiny and you can squeeze a dozen or more antenna into a square inch. One drawback of using millimeter wave spectrum for cellphones is that it takes a lot of power to operate multiple antennas, so this spectrum won’t be practical for cellphones until we get better batteries. However, the primary drawback of small antennas is the small target area used to receive a signal. It doesn’t take a lot of spreading and dispersion of the signal to miss the receiver. For spectrum in the 30 GHz range the full signal strength (and maximum bandwidth achievable) to a receiver can only carry for about 300 feet. With greater distances the signal continues to spread and weaken, and the physics show that the maximum distance to get any decent bandwidth at 30 GHz is about 1,200 feet. It’s worth noting that a receiver at 1,200 feet is receiving significantly less data than one at a few hundred feet. With higher frequencies the distances are even less. For example, at 60 GHz the signal dies off after only 150 feet. At 100 GHz the signal dies off in 4 – 6 feet. To sum all of this up, millimeter wave transmission requires a relatively open path without obstacles. Even in ideal conditions a pole-mounted 5G transmitter isn’t going to deliver decent bandwidth past about 1,200 feet, with the effective amount of bandwidth decreasing as the signal travels more than 300 feet. Higher frequencies mean even less distance. Millimeter waves will perform better in places with few obstacles (like trees) or where there is low humidity. Using millimeter wave spectrum presents a ton of challenges for cell phones – the short distances are a big limitation as well as the extra battery life needed to support extra antennas. Any carrier that talks about deploying millimeter wave in a way that doesn’t fit the basic physics is exaggerating their plans. With all of the talk about the coming 5G technology revolution I thought it might be worth taking a little time to talk about what a 5G network means for the aesthetics of neighborhoods. Just what might a street getting 5G see in new construction that is not there today? I live in Asheville, NC and our town is hilly and has a lot of trees. Trees are a major fixture in lots of towns in America, and people plant shade trees along streets and in yards even in states where there are not many trees outside of towns. 5G is being touted as a fiber replacement, capable of delivering speeds up to a gigabit to homes and businesses. This kind of 5G (which is different than 5G cellular) is going to use the millimeter wave spectrum bands. There are a few characteristics of that spectrum that defines how a 5G network must be deployed. This spectrum has extremely short wavelengths, and that means two things. First, the signal isn’t going to travel very far before the signal dissipates and grows too weak to deliver fast data. Second, these short wavelengths don’t penetrate anything. They won’t go through leaves, walls, or even through a person walking past the transmitter – so these frequencies require a true unimpeded line-of-sight connection. These requirements are going to be problematic on the typical residential street. Go outside your own house and see if there is a perfect line-of-sight from any one pole to your home as well as to three or four of your neighbors. The required unimpeded path means there can be no tree, shrub or other impediment between the transmitter on a pole and each home getting this service. This may not be an issue in places with few trees like Phoenix, but it sure doesn’t look very feasible on my street. On my street the only way to make this work would be by imposing a severe tree trimming regime – something that I know most people in Asheville would resist. I would never buy this service if it meant butchering my old ornamental crepe myrtle. And tree trimming must then be maintained into the future to keep new growth from blocking signal paths. Even where this can work, this is going to mean putting up some kind of small dish on each customer location in a place that has line-of-sight to the pole transmitter. This dish can’t go just anywhere on a house in the way that satellite TV dishes can often be put in places that aren’t very noticeable. While these dishes will be small, they must go where the transmitter can always see them. That’s going to create all sorts of problems if this is not the place in the home where the existing wiring comes into the home. In my home the wiring comes into the basement in the back of the house while the best line-of-sight options are in the front – and that is going to mean some costly new wiring by an ISP, which might negate the cost advantage of the 5G. The next consideration is back-haul – how to get the broadband signals into and out of the neighborhood. Ideally this would be done with fiber. But I can’t see somebody spending the money to string fiber in a town like Asheville, or in most residential neighborhoods just to support wireless. The high cost of stringing fiber is the primary impediment today for getting a newer network into cities. One of the primary alternatives to stringing fiber is to feed neighborhood 5G nodes with point-to-point microwave radio shots. In a neighborhood like mine these won’t be any more practical that the 5G signal paths. The solution I see being used for this kind of back-haul is to erect tall poles of 100’ to 120’ to provide a signal path over the tops of trees. I don’t think many neighborhoods are going to want to see a network of tall poles built around them. And tall poles still suffer the same line-of-sight issues. They still have to somehow beam the signal down to the 5G transmitters – and that means a lot more tree trimming. All of this sounds dreadful enough, but to top it off the network I’ve described would be needed for a single wireless provider. If more than one company wants to provide wireless broadband then the number of devices multiply accordingly. The whole promise of 5G is that it will allow for multiple new competitors, and that implies a town filled with multiple wireless devices on poles. And with all of these physical deployment issues there is still the cost issue. I haven’t seen any numbers for the cost of the needed neighborhood transmitters that makes a compelling business case for 5G. I’m the first one to say that I’ll never declare that something can’t work because over time engineers might find solutions for some of these issues. But where the technology sits today this technology is not going to work on the typical residential street that is full of shade trees and relatively short poles. And that means that much of the talk about gigabit 5G is hype – nobody is going to be building a 5G network in my neighborhood, for the same sorts of reasons they aren’t building fiber here. There is another new technology that you might be hearing about soon. It’s called Li-Fi and also goes by the name of Visible Light Communications (VLC) or Optical WLAN. This technology uses light as a source of data transmission, mostly within a room, and will compete with WiFi and other short-distance transmission technologies. Early research into the technology used fluorescent lamps and achieved data speeds of only a few Kbps. The trials got more speed after the introduction of LED lighting, but the technology didn’t really take off until professor Harold Haas of the University of Edinburgh created a device in 2011 that could transmit at 10 Mbps. Haas calculated the theoretical maximum speed of the technology at the time at 500 Mbps, but recent research suggests that the maximum speeds might be as fast someday as 1.5 Gbps. Visible light is totally safe to people and eliminates any radiation issues involved in competitors like 802.11ad. It’s incredibly difficult to intercept and eavesdrop on Li-Fi transmissions that stay within a room between the transmitter and receiver. It’s low power, meaning it won’t drain batteries, and uses relatively simple electronics. The speed of the transmission is going to be limited to the data pipe that feeds it. Since it’s unlikely that there will ever be fiber built to lightbulbs, then Li-Fi is likely to be fed by broadband over powerline, which currently has a maximum theoretical speed of something less than 1 Gbps and a practical speed a lot less. At any reasonable speed Li-Fi needs a direct line-of-sight. Even within a room, if anything comes between the transmitter and the receiver the transmission stops. Literally waving a hand into the light bean will stop transmission. This makes it awkward to use it for almost any mobile devices or something like a virtual reality headset. There are a few specific uses considered for the Li-Fi technology. This possibly has more uses in an industrial setting where data could be shared between computers, machines, and robots in such a way as to insure that the light path doesn’t get broken. The primary contemplated use of the technology is to send large amounts of data between computers and data devices. For example, Li-Fi could be used to transmit a downloaded movie from your computer to a settop box. This could be a convenient, interference-free way to move data between computers, phones, game consoles, and smart TVs. It can be used at places like public libraries to download books, videos, or other large files to users without having them log onto low-security WiFi networks. It would also be great as a way to hand out eCatalogs and other data files in convention centers and other places where wireless technologies often get bogged down due to user density. Another use is being called CamCom. It would be possible to build Li-Fi into every advertising display at a store and let the nearest light bulb transmit information about the product to shoppers along with specials and coupons. This could be done through an app much more quickly than using QR codes. 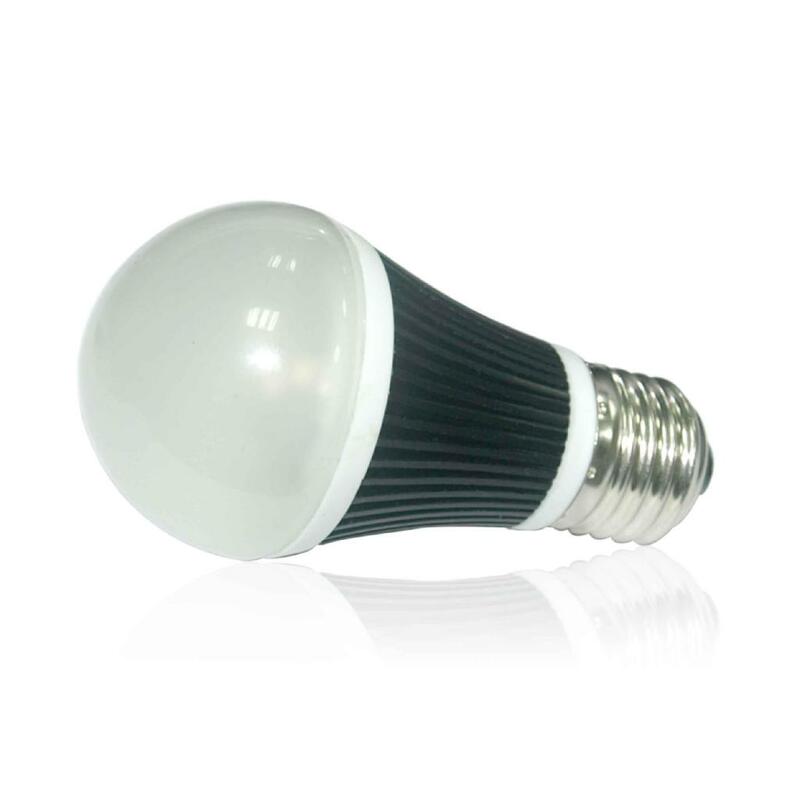 The biggest hindrance to the technology today is the state of LEDs. But Haas has been leading researchers from the Universities of ­Cambridge, Oxford, St. Andrews, and Strathclyde in work to improve LEDs specifically for the purposes of Li-Fi. They have created a better LED that provides almost 4 Gbps operating on just 5 milliwatts of optical output power. These kinds of speeds can only go a very short distance (inches), but they hope that through the use of lenses that they will be able to transmit 1.1 Gbps for up to 10 meters. They are also investigating the use of avalanche photodiodes to create better receivers. An avalanche photodiode works by creating a cascade of electrons whenever it’s hit with a photon. This makes it much easier to detect transmitted data and to cut down on packet loss. It’s likely at some point within the next few years that we’ll see some market use of the Li-Fi technology. The biggest market hurdle for this and every other short-range transmission technology to overcome is to convince device makers like cellphone companies to build the technology into their devices. This is one of those chicken and egg situations that we often see with new technologies in that it can’t be sold to those who would deploy it, like a store or a library, until the devices that can use it are on the market. Unfortunately for the makers of Li-Fi equipment, the real estate on cellphone chips and other similar devices is already very tightly packed and it is going to take a heck of a sales job to convince cellphone makers that the technology is needed.